My first BBC Introducing shows on 6 Music were broadcast at the end of October 2007, since when we've given over 15,000 tunes by under-the-radar artists their first national BBC radio play. This weekend we're broadcasting four hours' worth of highlights from across those ten years. This is the episode broadcast on Monday 06 Nov 2017. 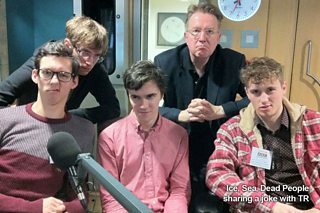 You can listen again for 30 days (until Wed 7th December) on our programme page via this link, using the BBC iPlayer Radio App on your mobile device, or as a rich playlist on the BBC Music app and web pages. You can receive the show automatically every week as a podcast by subscribing via iTunes or the Podcasts app on your mobile device: just search "Tom Robinson Introducing". If you enjoy what we do on our podcast please consider giving it a five star rating on iTunes - or wherever you get your podcast from - it helps other new music fans find the show. ARTISTS! Some important words of warning... After being featured by BBC Introducing you may receive emails from PR companies with impressive client lists. These emails will say they like your music and want to help you get further radio airplay. Please be aware this does NOT make you unique or special - it simply means they want your money. Large numbers of artists we play receive these emails from companies seeking new customers for their paid services. If you do decide to pay a PR firm to do this work for you, there are over a hundred to choose from in the UK. Most of them have impressive-looking client lists - but just because somebody once did promotion on a record by a famous artist doesn't mean they did a great job. Before paying for promotional services of any kind, ALWAYS get an independent endorsement from a couple of their clients before parting with you hard-earned cash. You can find the management, record company or booking agent for most artists using Google. It's true that further down the line - as your career gathers momentum - you may want to invest serious money in a professional PR campaign. The most effective pluggers charge a lot of money because they're good - these things can't be done on the cheap. But once again - be careful! All effective pluggers charge a lot of money, but not all pluggers who charge a lot of money are effective. So if you do plan to invest several thousand quid on radio promotion at some point in the future, here's my advice. Do some research and find out which indie labels regularly get their artists played on your favourite radio stations. Then make friendly contact with whoever runs that record company to find out which PR company they would recommend. 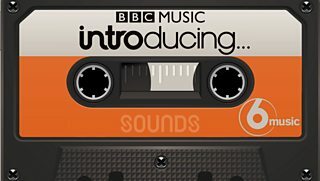 Finally, whatever route you choose, don't forget to carry on uploading your new releases to BBC Introducing so that we can carry on supporting you as your future career unfolds.